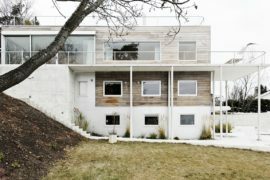 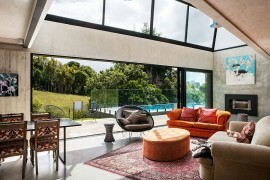 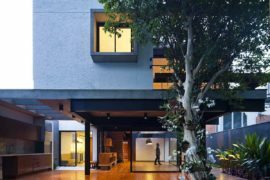 A home that becomes one with the surrounding landscape is increasingly becoming a popular demand with homeowners across the globe. 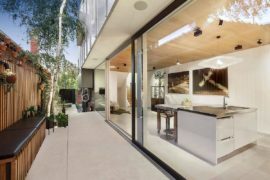 Gone are the days when the suburban residence was an entity in itself that was disconnected from the scenery outside and boasted a polished, urbane interior. 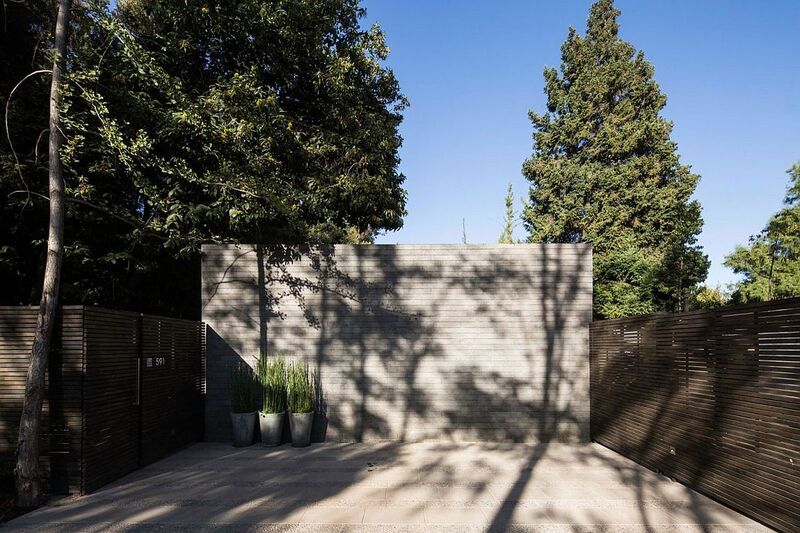 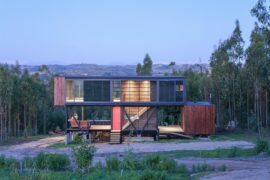 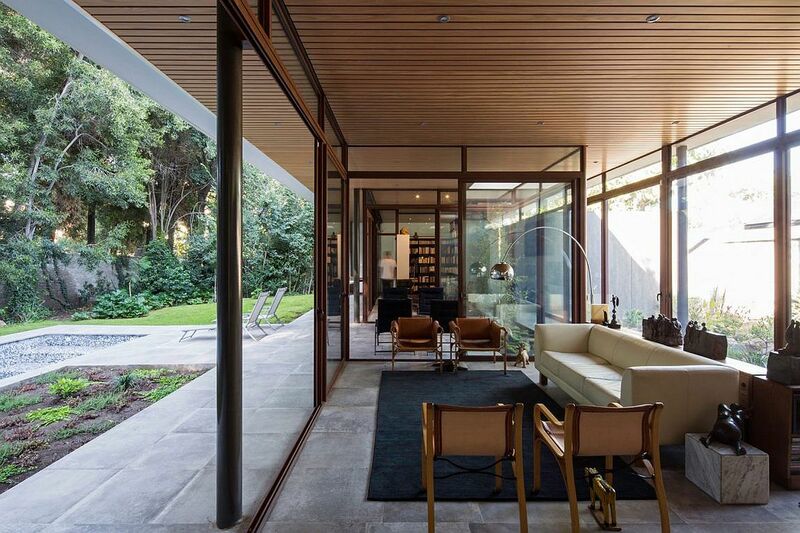 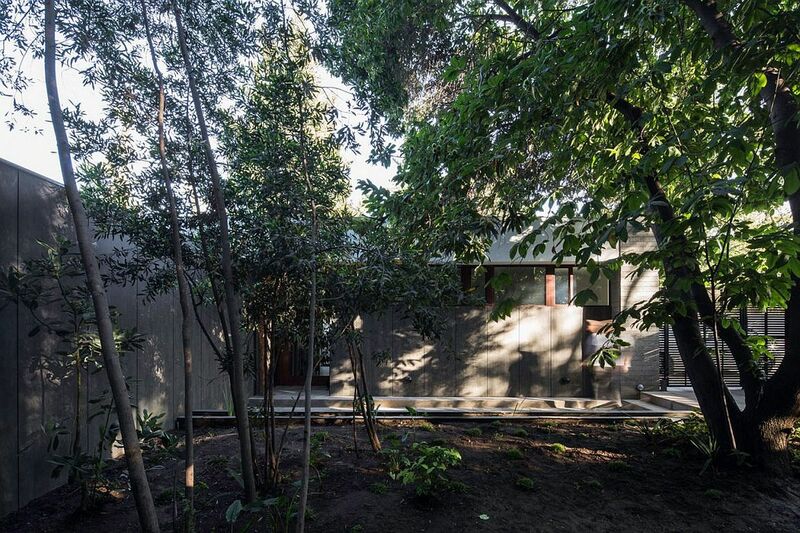 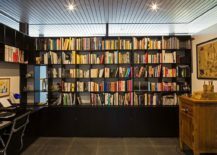 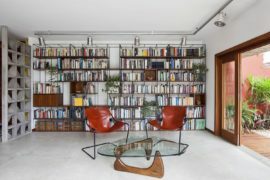 Nestled in a lush green neighborhood of Las Condes, Santiago, Chile, ‘The House and The Trees’ offers precisely what its name suggests. 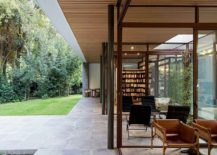 This beautiful and relaxing home was designed by Iglesis Arquitectos to integrate effortlessly with the existing trees and greenery, even while providing a cozy and comfortable living environment. 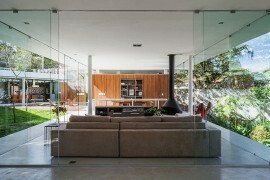 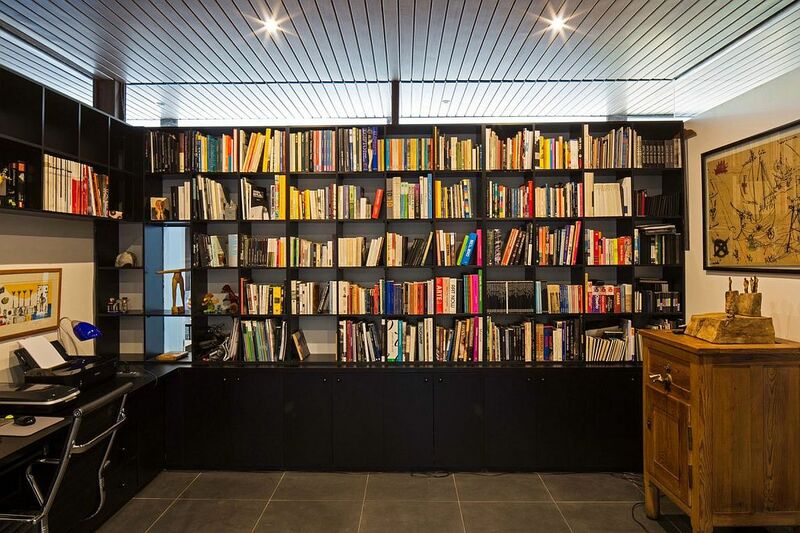 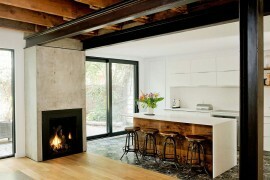 This was accomplished by keeping the structure of the home simple and minimal. 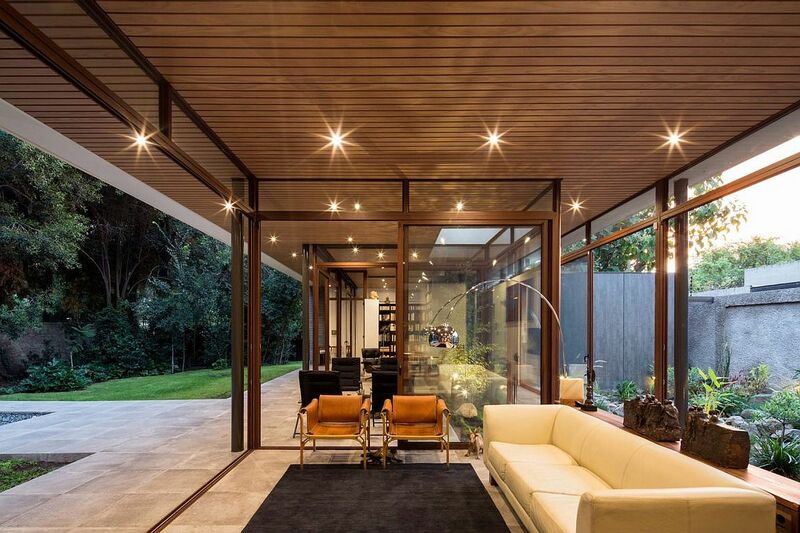 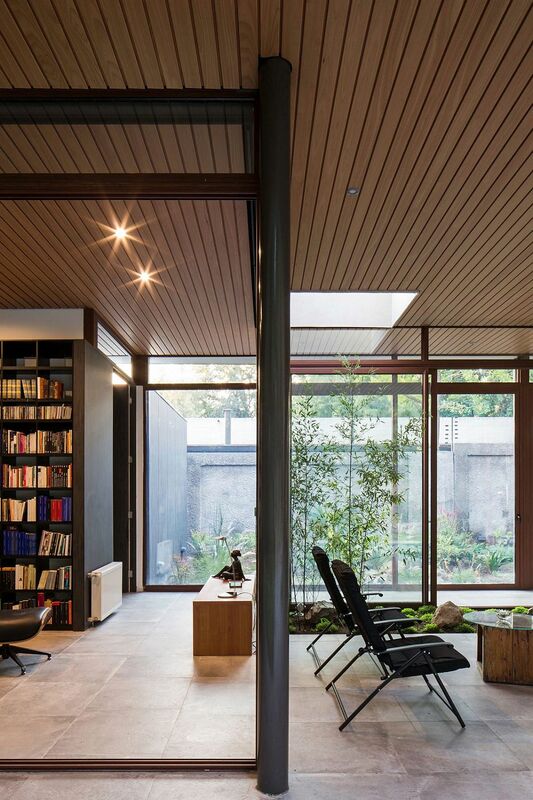 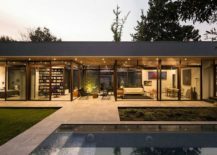 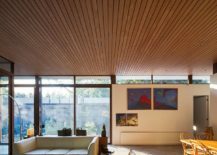 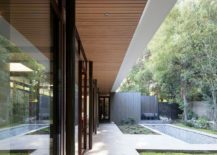 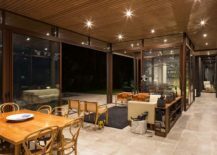 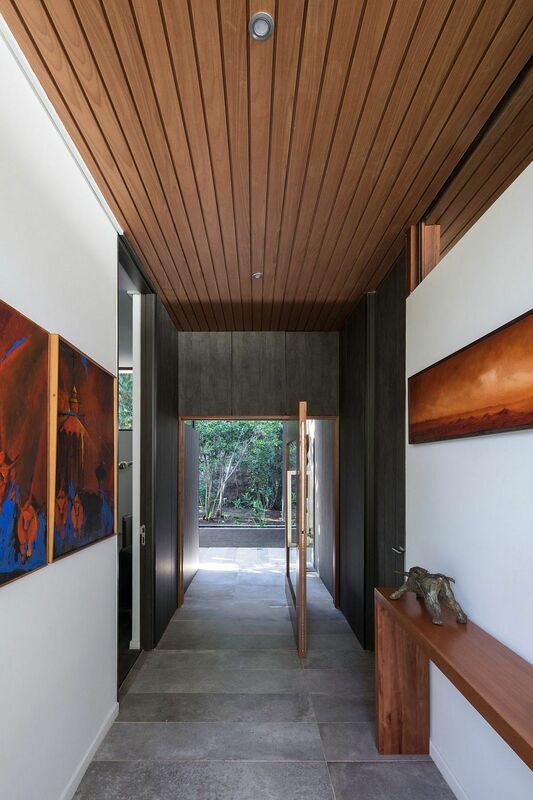 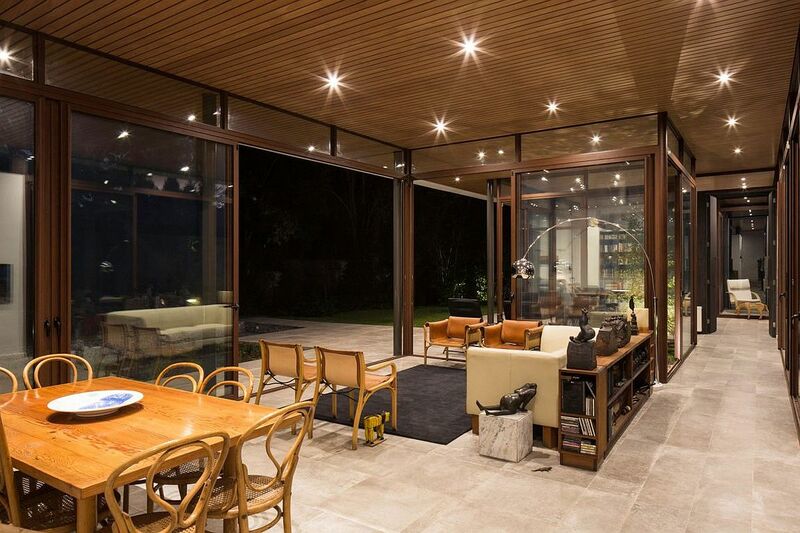 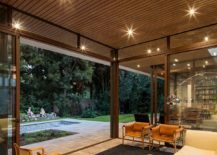 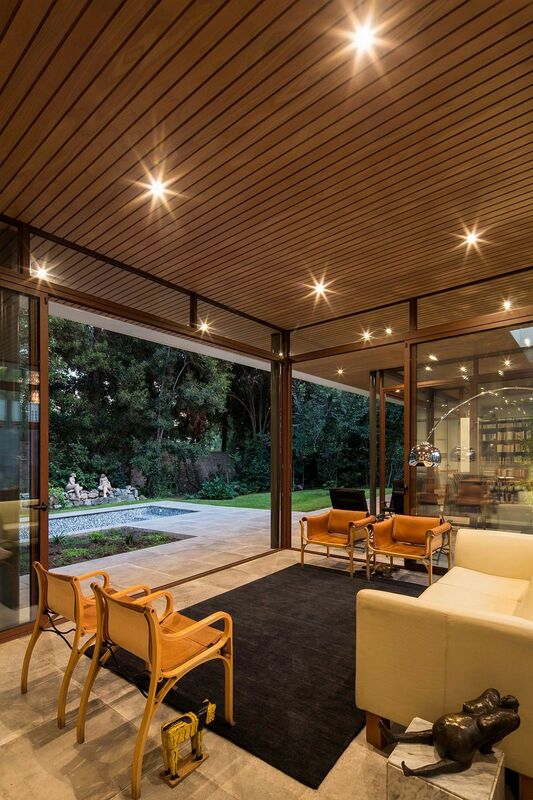 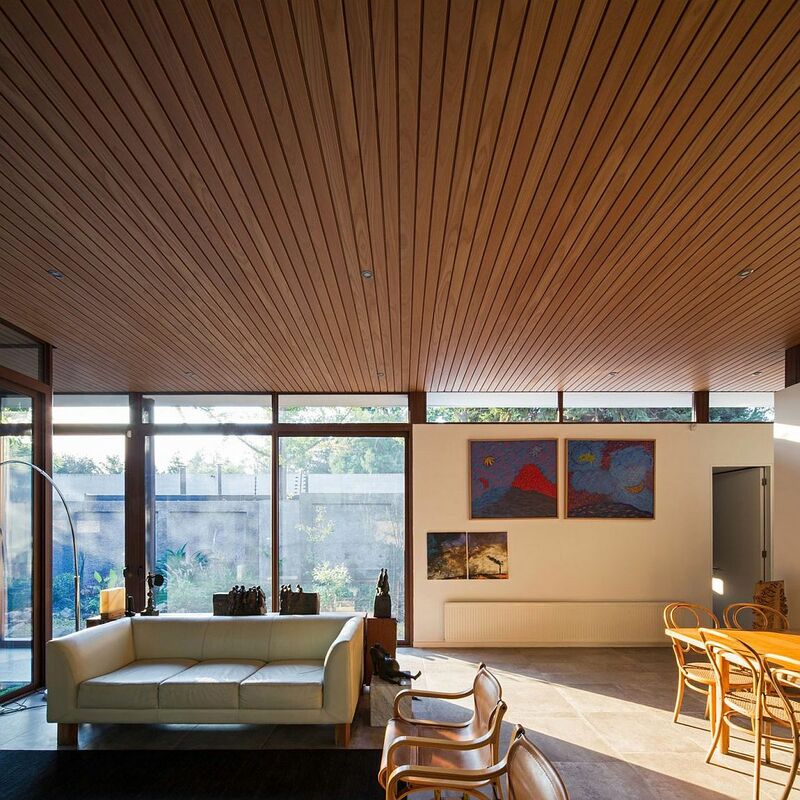 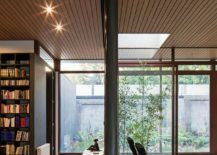 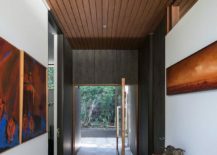 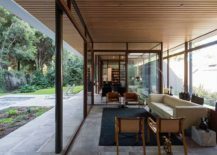 It is the wooden ceiling and the concrete floor that act as two simple planes that define the residence, with the glass walls creating flexible boundaries between the interior and the garden outside. The interaction between indoor and outdoor spaces is seamless, and one feels as if surrounded by the lovely garden while sitting in the living area or the family room. 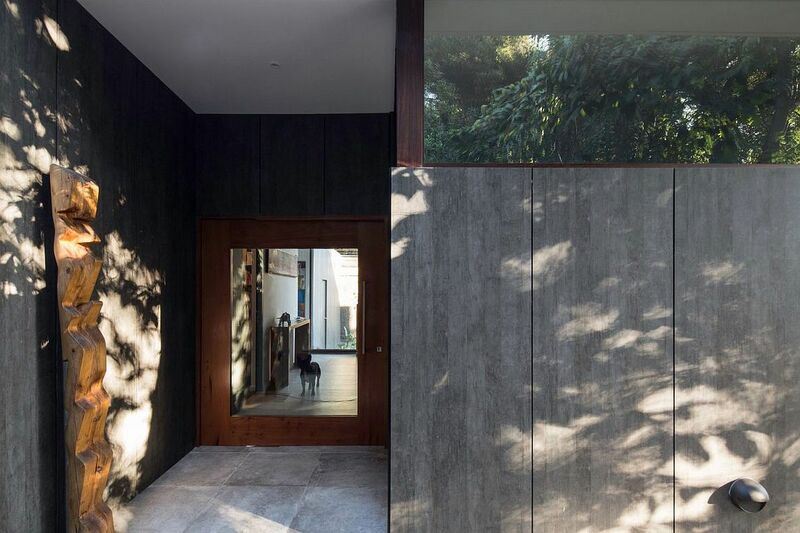 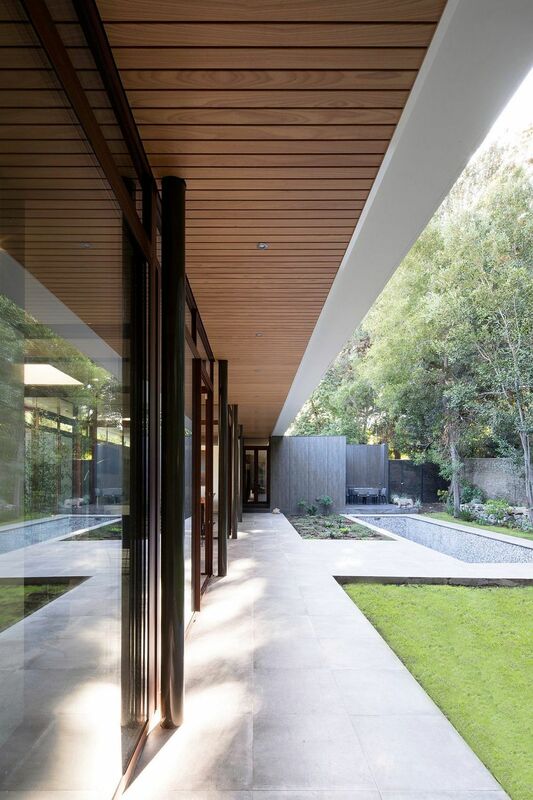 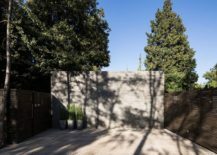 The boundaries between inside and outside do not exist; spaces interact, generating views arriving always to the gardens and the abundant foliage outside. 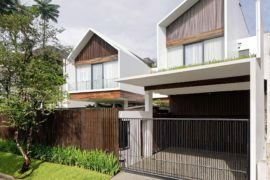 Services are ordered in closed volumes to indicate the access and configuring various yards.